When it comes to selecting from the best healthcare PR firms, don’t fall for a fast-talking publicist or sales pitch. Listen closely to their media strategy and approach. Ask them how they are going to get your healthcare product or service on the news? The best media strategists will know off the top of their head how they will position your brand. They won’t need to “research” a strategy – or in more simple terms – see how other PR firms would position your brand. Your position as an industry leader primarily begins with how the public views your business and for most consumers, their perceptions are shaped by the media. This is why it is so important to get your story told first in the media. If your customers read about a competitor first, they are more likely to believe their product or service is superior. 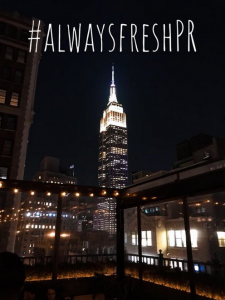 What has your PR firm delivered lately? Here are the media deliverables Macias PR secured for our clients in the 4th quarter of 2016. From September to December, our team secured a record number of TV placements for our clients – a total of 17 TV segments in seven different TV markets. It’s not easy securing a TV segment on the local news. It’s even harder delivering a TV story in a different market. Oh, and our clients are in different sectors, making this trifecta even more challenging. But Macias PR did it. We secured TV segments on the local news in the #1 news market New York, as well as in Miami, Orlando and Tampa Bay, Florida; Phoenix and Tucson, Arizona; San Antonio, Texas and with the national news outlet, Fox Business News. 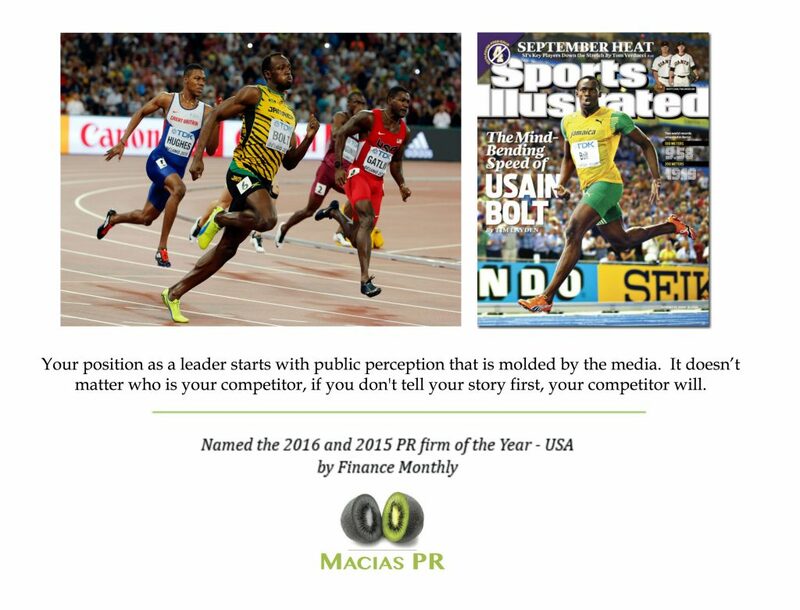 Macias PR has just published a white paper that takes a closer look at the ROI of PR vs. advertising. The paper analyzes three recent media campaigns that promoted two mobile apps and a local housing event in San Antonio. Our team was able to secure nine TV segments for these clients in Arizona, New York and Texas. In addition, Macias PR secured magazine, newspaper, radio and online publicity with targeted local and online publications. But how much would this organic news publicity cost had these clients took the traditional advertising approach? This white paper breaks down the cost these clients would have paid for this exposure under an advertising campaign based on local ad market rates. You can read the white paper by clicking PR vs Advertising vs Marketing – A Media Case Study. If you have ever called up a PR firm and tried to get a quote for a media campaign, you know it’s not easy getting an estimate over the phone. And there is a reason for that. The cost for a media campaign varies based on your product/service, the complexity of your campaign and even who you want to target. Now, there is an online calculator that gives you the cost of PR without having to pick up the phone. Macias PR has just unveiled the first-ever mobile tool that allows any business or entrepreneur to get a PR estimate without picking up the phone. If you have ever been curious about whether you can afford a PR campaign, or even how much a PR campaign costs for your business, now you can find out with just a few clicks. Of course, we are always here to answer your questions over the phone or via chat (green button at the bottom). But if you’re averse to speaking with people, our new PR tool will give you a more simplified process when determining whether a PR campaign is cost effective for your budget. Click here to test out our new PR calculator.